Meeting cute boys involves knowing where they will be located after school. Cute boys tend to group together and are usually quite physically active. Known for their six-pack abs and their easy-going personalities, cute boys have all the girls trying to catch their attention. Learn to stand out from the crowd by getting involved in the sports they play, or by being their idea of the ultimate female fatale. To catch a cute boy, you must make him work for you. 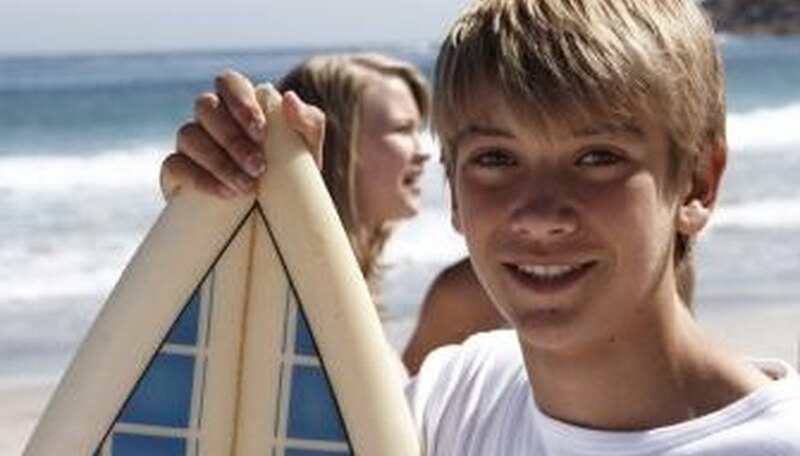 Meet cute boys at the beach surfing. Go to the gym. Enter the free weight area where the cute boys are working out. Ask the one you like to spot you or teach you how to use the weights. Attend sporting events or team practices. Slip into your most fetching dress and sit in the bleachers. Watch the boys play. Ask around for their local meeting place after games and practices and walk in with a friend. Hit the hottest dance club. Fix your hair and makeup and wiggle into the slinky dress. Dance on stage so everyone sees you and wait for that cute guy to come over and dance with you. Take up skate boarding. Attend the local skateboard park and ask the cute guys for tips on tricks or skirting the corners. Take a friend with you while looking, so you have someone to talk to. Be relaxed and treat cute boys the same way you do regular boys. Don't do anything that you are uncomfortable doing to get a cute boy to like you. Leave him alone if he does not respect you. de, Angelique. "How to Meet Cute Boys." Dating Tips - Match.com, https://datingtips.match.com/meet-cute-boys-7412720.html. Accessed 24 April 2019.